Fees associated with filing a trademark application in Yemen as well as other trademark fees are available in the fee calculator. 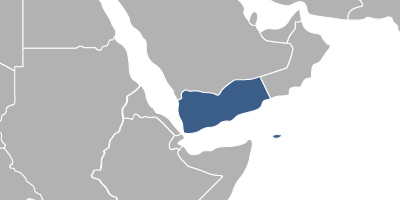 Multiple-class application is not possible in Yemen. A separate trademark application should be filed for each class. A Power of Attorney duly legalised by the Yemeni Consulate must be submitted at the time of filing or within one month from the filing date. Priority should be claimed within 6 months from the priority date. The certified copy of the priority document and its Arabic translation must be submitted at the time of filing or within one month from the date of filing the trademark application in Yemen. Trademark in Yemen may be opposed within 90 days from the publication of a trademark application. Trademark in Yemen is valid for ten years from the date of filing. This protection is renewable for one or more periods of ten years. The renewal request should be submitted within the last year of the current validity term. It may also be renewed after 12 months from the renewal due date. If the trademark has not been used within 5 years before a third party’s request for cancellation, it may be subjected to the cancellation. For foreign applicants, it is necessary to perform the trademark prosecution in Yemen through a local agent, a Yemeni trademark attorney. Online Search Database for Yemeni Trademarks.